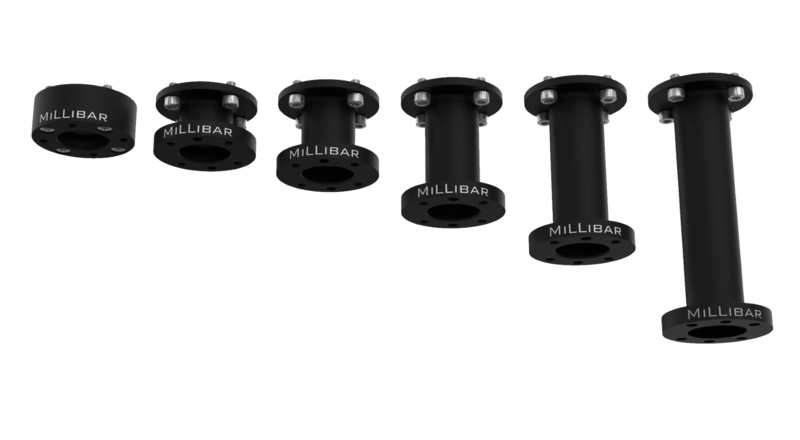 Millibar's End of Arm Tooling Components (EOAT Components) are pre-engineered solutions to minimize design time, mitigate risk and allow rapid robot deployment. These components range from manifolds for vacuum generation and measurement, extensions for placing objects in deep containers, and mounts for suction cups of various sizes. Coupled with Millibar's Manual Tool Changer, these end of arm tooling components are designed to make tooling changes faster than ever - ideal for high-mix, low-volume applications. Don't see what you are looking for? Millibar supports requests for custom end of arm tooling. Browse our porfolio of custom end of arm tooling, or contact us with your unique application. 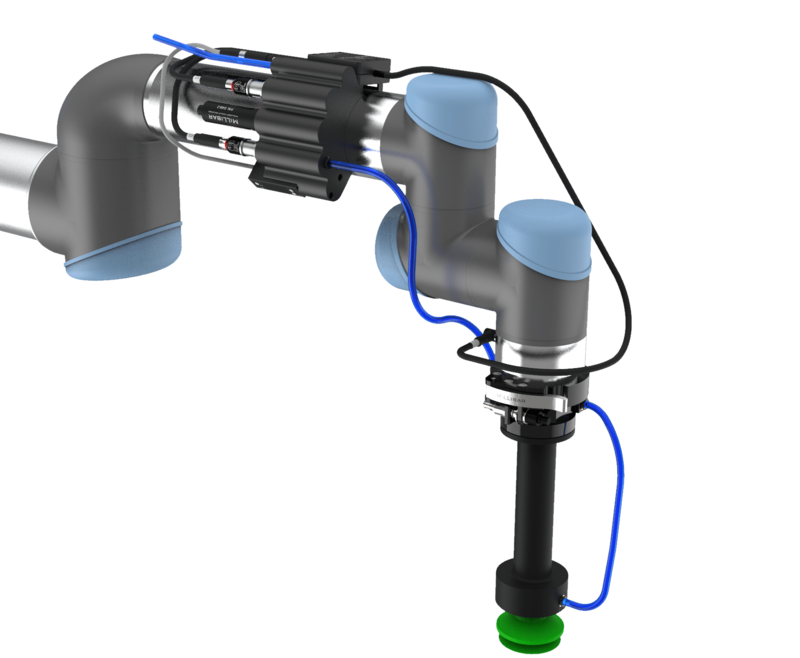 Millibar's Arm Mounted Manifolds provide a compact, turn-key solution for powering a range of end of arm tools, offering solutions for gripper actuation, suction cup activation, and venturi generation and measurement, these manifolds are engineered to help your Universal Robot perform a variety of tasks. Choose the cable harness featured below to make wiring the manifolds to the connector on the UR wrist fast and easy. Digital vacuum switch for vacuum measurement. Instantaneous vacuum generation through close-coupled valves. Controllable blow-off for rapid part release and accurate part placement, leading to increased cycle speeds. Metric push-to-connect fittings for easy installation. Designed to fit the UR3, UR5, and UR10 models including e-Series. 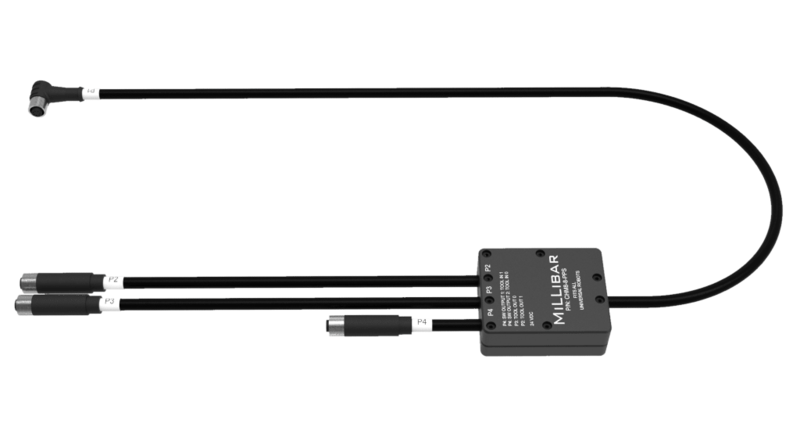 This cable harness provides the necessary connections between the solenoid valve(s) and vacuum switch in Millibar's Arm Mounted Manifolds and the 8 Pin wrist connector on all models and series of UR Robots. This cable harness is integral to Millibars plug and play end of arm tooling components. 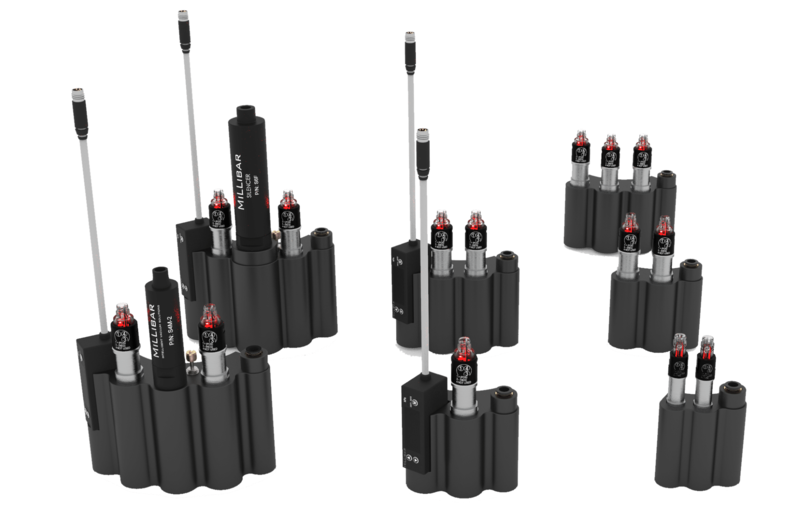 Easily control solenoid valves to power venturi vacuum pumps and pneumatic grippers. Monitor system vacuum levels for arm mounted manifolds that include a vacuum switch to provide feedback to the robot controller. Inputs and outputs are easily controlled from Polyscope and set up is measured in seconds. Wrist Extensions are ideal for placing products into, or removing products from, a deep container such as a box/ tote. Each extension contains a flange that bolts directly to your robot's wrist and replicates that flange on the opposite end. Choose from 25mm to 150mm lengths. Add a Suction Cup Mount for attaching a suction cup to the end of the extension.